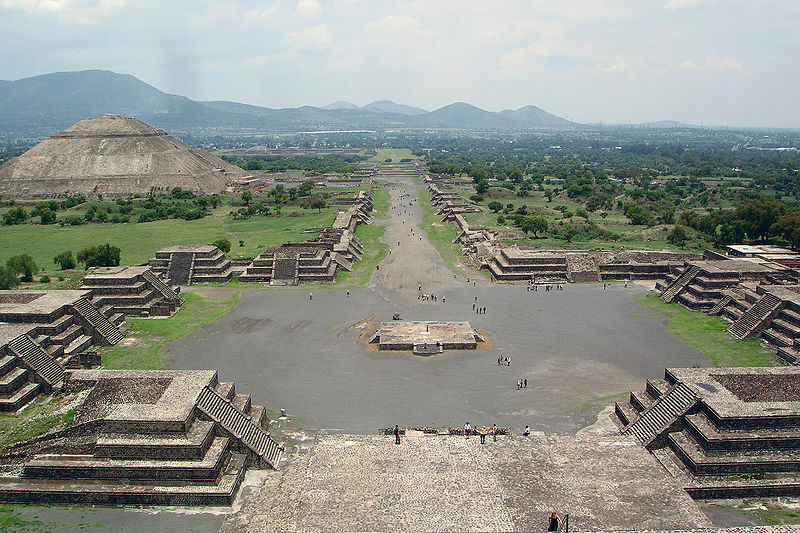 Civilizations in the Americas prospered and developed in manners reflecting their material conditions. By the end of the 15th century, two major empires had flourishing and extensive territorial reach and power. These were the Mexica or Aztecs in Mexico and Central America, and the Inca in the Andean region of modern Peru and Bolivia. The decoding of carved transcriptions of Nahuatl and other writings of the Maya and Aztec provide insight into the development of literature, mythologies and belief systems. Both the Aztec and Inca empires were aggressive warring states that had recently expanded in the century before the arrival of the Spanish in the early 16th century. 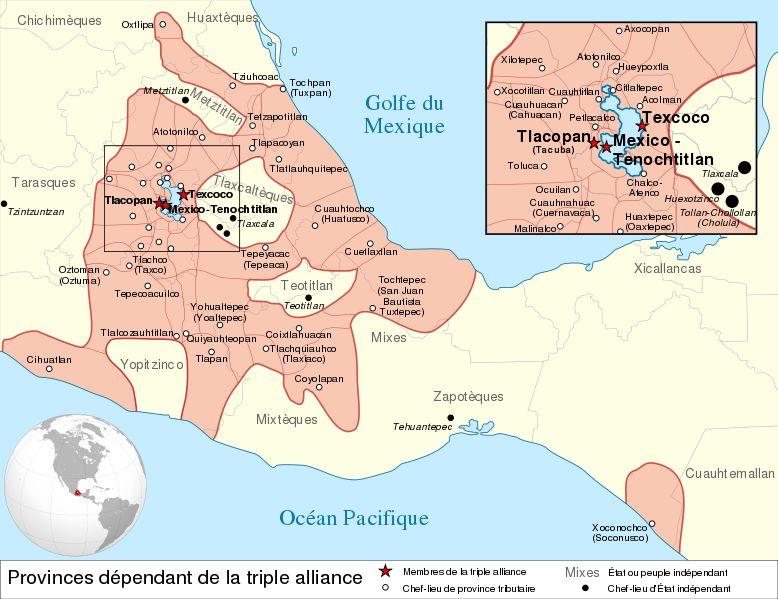 The Aztec or Mexica Empire though did not dominate all of Mesoamerica. However, the Tarasques in Western Mexico, and some other regions, remained autonomous and resisted Aztec power. This led to conditions of warfare and resistance when the Spanish conqueror Hernando Cortes arrived in 1519 at Tenochtitlan, the capital of the Aztec empire. 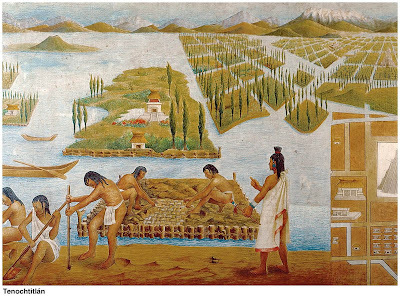 There is also evidence of prior civilizations that preceded these large empires, including the Olmec and Maya in Central America, and the Chauvin in the Andes.In North America the Mississippian civilization developed a network of trading villages and agrarian based towns known as the Mound Culture, of which some survived intact until the 16th century when the Spanish arrived. The most spectacular of these cites was the urban complex of Cahokia, East St. Louis, Missouri (see the UNESCO World Heritage site). In the Brazilian Amazon and coastal regions, recent archaeology has uncovered extensive road, earthworks and reservoir of pre-Columbian civilizations that were intact well into the 1500s. These extensive complexes suggest that scholars must revise upwards the actual population of pre-Columbian indigenous societies. On the Tupis, coastal Indians of Brazil, see John F. Richards, The Undending Frontier: An Environmental History of the Early Modern World. (University of California Press, 2006), Ch. 11, "Sugar and Cattle in Portuguese Brazil." Parssinen, Martti, Densise Schaan and Alceu Ranzi, “Pre-Columbian geometric earthworks in the upper Purus: a complex society in western Amazonia,” Antiquity, (2009) Volume: 83 Number: 322 Page: 1084–1095. Fig. 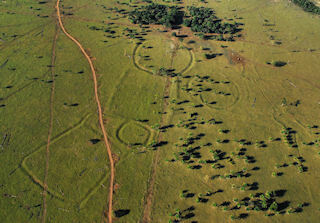 3 Earthworks in the Brazilian Amazonian basin, Purús region. Map of the Aztec empire circa 1519, at the arrival of Hernando Cortes, with a closeup box of the capital urban complex of Tenochtitlan. 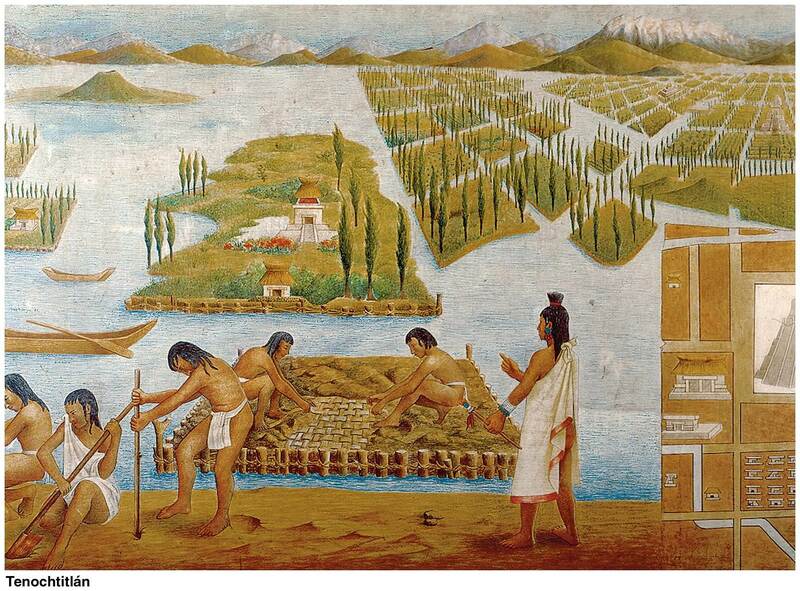 Tenochtitlan: advanced systems coordinating hydrology and planting beds. 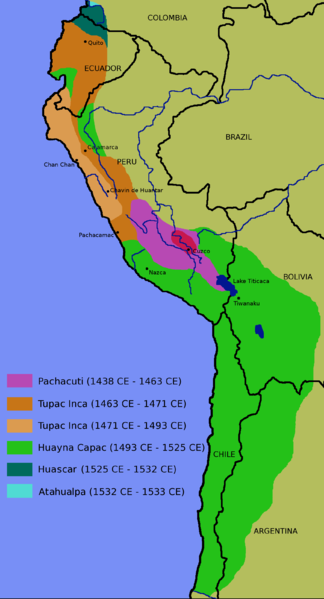 Photo Source: Wikipedia entry for Inca Empire, commons licensing permission for reproduction.